All We Can Do Is What We Are Actually Doing Already collects the results of the homonymous exhibitions series that took place at P/////AKT between 2014 and 2015 featuring Scott Joseph, Miks Mitrevics & Kristine Kursiša and Chaim van Luit (artists), and reflected upon by Frank Koolen (moderator) and Marianna Maruyama (writer). 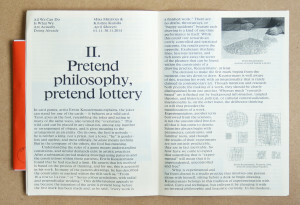 The publication consists of a pamphlet with texts by Marianna Maruyama (1.) and a 4 posters folder curated by Frank Koolen (2.). (1.) All We Can Do Is What We Are Actually Doing Already, P/////AKT, 2015. 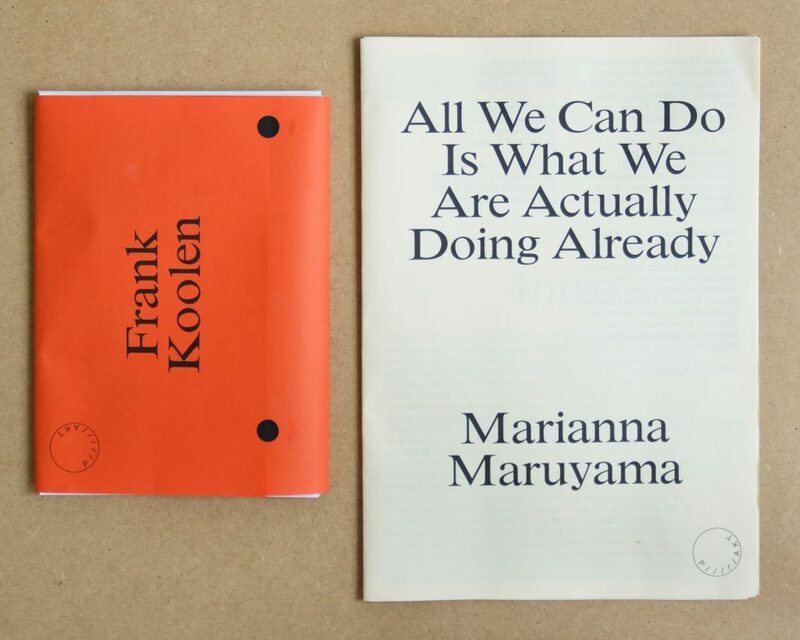 Authors: Marianna Maruyama (writer), Frank Koolen (moderator). Physical Description: 10 p. : ill. b/w ; 21×30 cm. (2.) All We Can Do Is What We Are Actually Doing Already, P/////AKT, 2015. 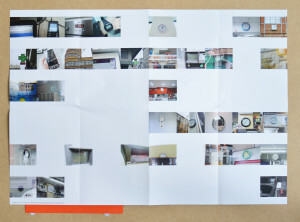 • Poster 1: Frank Koolen, ‘The Moderator’, All We Can Do Is What We Are Actually Doing Already, P/////AKT, Amsterdam, 2015. • Poster 2: Scott Joseph, ‘For As Far As I Can See’. 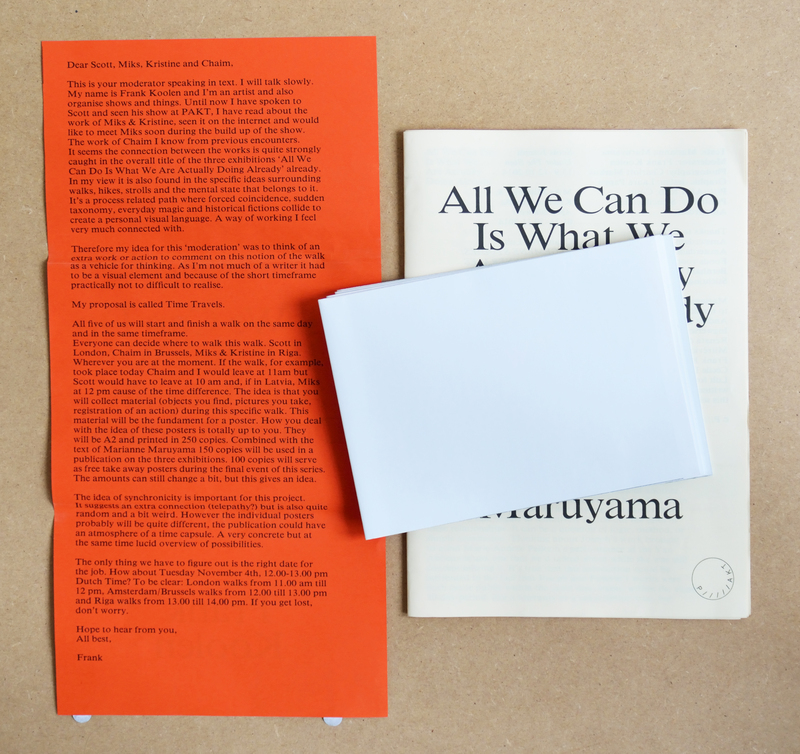 As part of: All We Can Do Is What We Are Actually Doing Already, P/////AKT, Amsterdam, 2015. 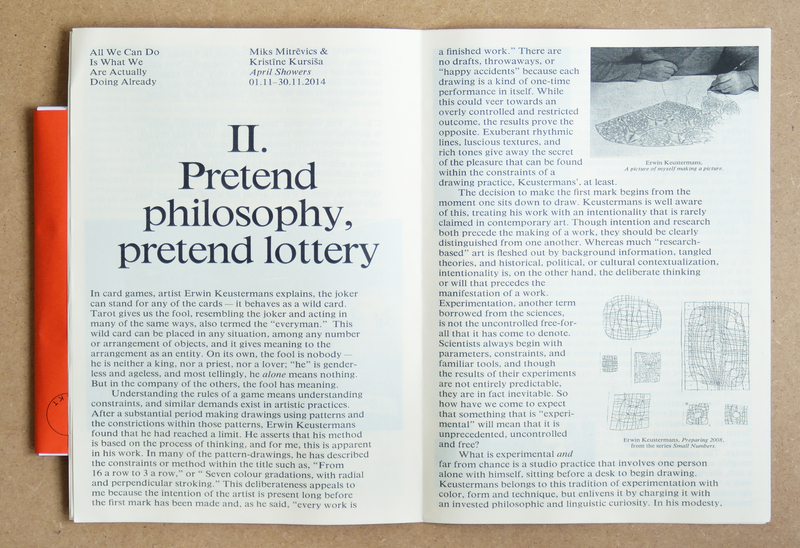 • Poster 3: Miks Mitrevics & Kristine Kursiša, All We Can Do Is What We Are Actually Doing Already, P/////AKT, Amsterdam, 2015. 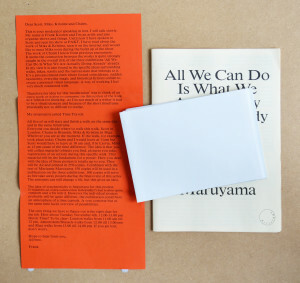 • Poster 4: Chaim van Luit, All We Can Do Is What We Are Actually Doing Already, P/////AKT, Amsterdam, 2015.